One of our club's major service projects is the Ramp Champ program. Since 2001, our club has built ramps for members of the community who are in need. Building materials are purchased through funds raised from our club fundraisers and the labor is contributed by club members at no cost to the recipient. The main goal of the Ramp Champs is to give better mobility to members of the Corpus Christi community, in turn providing a better quality of life. 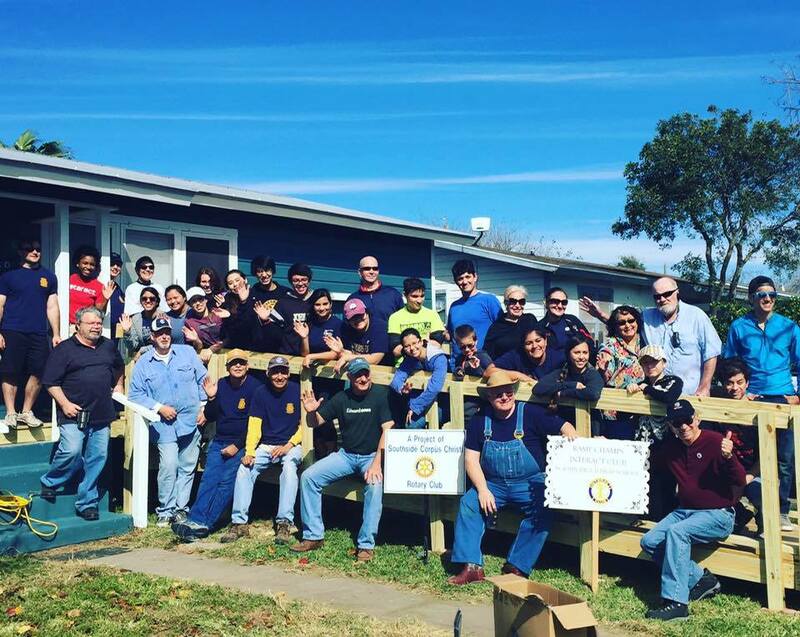 Our club members and Texas A&M University-Corpus Christi Rotaract students, in conjunction with the Coastal Bend Center for Independent Living, build approximately 6-8 ramps per year through the program which began in 2001. Our Ramp Projects are made possible by funds raised at our annual Service Above Self Awards dinner and Administrative Professional's Day luncheon events. Members of our club and Boy Scout Troop 232 place flags around the Corpus Christi Country Club Townhomes and Carriage Park and Rock Creek Townhomes in observance of several holidays, including: Memorial Day, Independence Day, Veterans Day, and Labor Day*. Hundreds of flags are put up around Corpus Christi through this project. Through their subscriptions, Flag Project sponsors help fund camp scholarships and troop projects. *New customer requests are limited to the Townhomes in the Country Club, Carriage Park and Rock Creek subdivisions. Our Flag Project is made possible by funds raised at our annual Service Above Self Awards dinner and Administrative Professional's Day luncheon events. 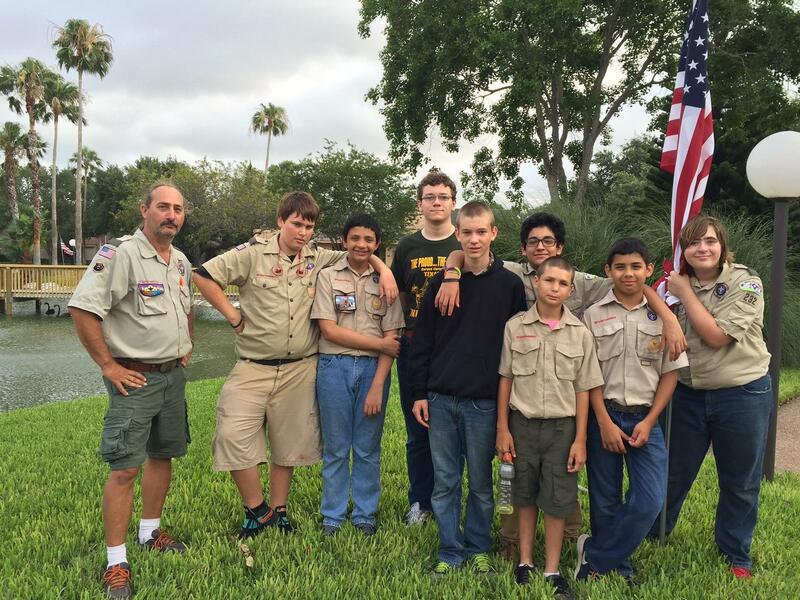 Members of Boy Scout Troop 232 and Southside Rotary club members honored fallen servicemen and women by placing flags around the Country Club Townhouse area on Saturday, May 21 in observance of Memorial Day weekend. Flags were also placed at the Carriage Park Townhomes on Sunday, May 22, and at other locations around Corpus Christi on Monday, May 23. Pictured in the photo (left to right): Robert Mealer, Levi Chatham, Darrelle Clark, Wyatt Johnson, John Satterwhite, William Neisser, Jaden Alvro, Chance Roos, and Justin Mealer. Southside Rotarians not pictured: Elain Barnes, Nancy Ross, Rodney Vaughn, and Lari Young. Photo Credit: Lari Young. The RAMP Champs built a ramp on Saturday, March 12, 2016 at 8:00am. Members of Southside Rotary and Boy Scout Troop 232 placed flags around the Corpus Christi Country Club Townhomes and Carriage Park Townhomes areas on Saturday, February 13 and Monday, February 15 in observance of President's Day. 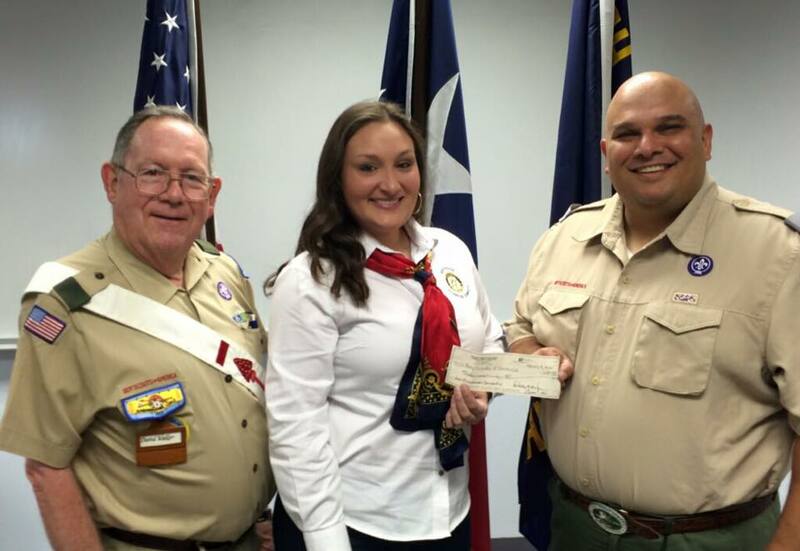 On Monday, February 8, Vice President David Walker (pictured left) and President Michelle Maresh-Fuehrer (pictured center) presented a check for $690 to South Texas Council of Boy Scouts of America's Scout Executive Manny Ramos (pictured right) on behalf of the Southside Corpus Christi Rotary Club. This donation is specifically for the John Beauregard Campership Fund, which helps send scouts to camp. John Beauregard was a member of Southside Corpus Christi Rotary Club and was Scout Executive until he was involved in a fatal automobile collision in 2012. 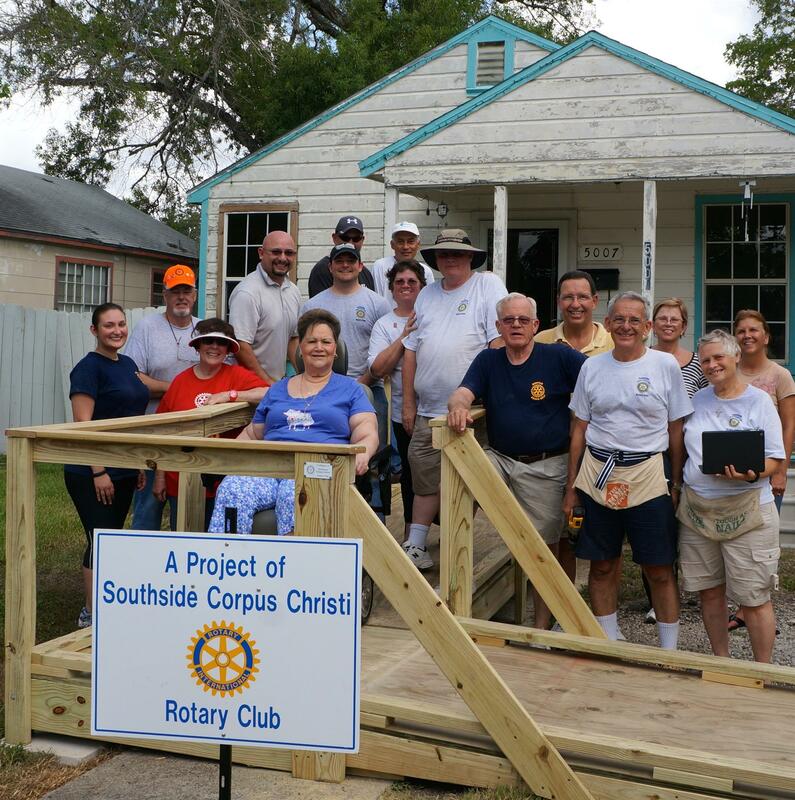 Members of Southside Rotary, joined by Texas A&M University-Corpus Christi's Rotaract Club and St. John Paul II High School's Interact Club, built a wheelchair ramp for a local resident on Saturday, January 30, 2016. Thank you to everyone who joined us for this project: Nancy Foster, Angie Frost, Kyle Fuehrer, Steve Geyer, Joe High, Paul Luehrs, Michelle Maresh-Fuehrer, Erasmo Nava, Edd Price, Norma Sanchez, Scott Sutherland, Christine Udeani, Rod Vaughn, Ted Garcia, Interact, and Rotaract. A special thank you to KIII-TV for the media coverage! Southside Corpus Christi Rotary Club proudly sponsored 4 students to attend RYLA! Two students were from St. John Paul II High School and two students were from Veterans Memorial High School. Southside Corpus Christi Rotary Club sponsored two applications for the Rotary Global Scholarship. We are excited to announce that both Crystal and Rachel's applications have been approved and they will be studying abroad this year! Crystal will study in London, and Rachel will study in Costa Rica. They will visit our club to tell us about their experience when they return. 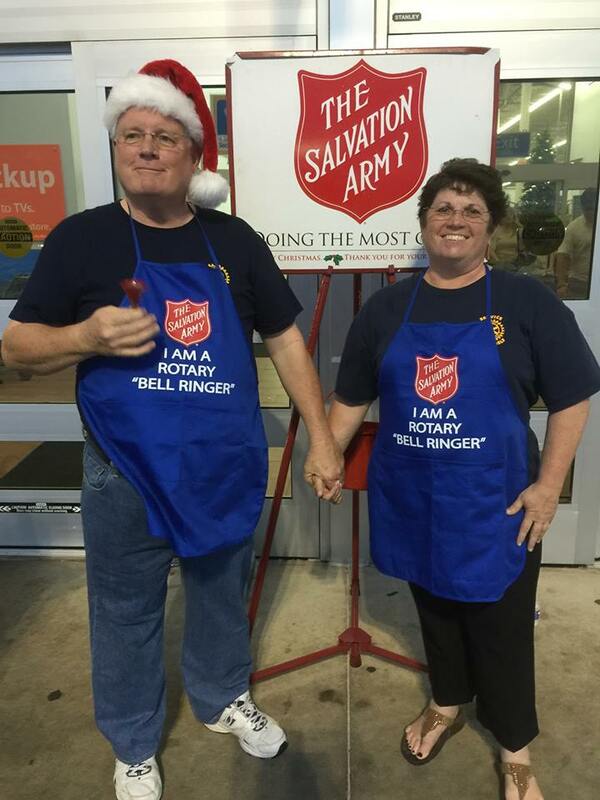 On Saturday, December 12, Southside Rotarians participated in the Salvation Army Bell Ringing at Wal-Mart on Saratoga from 10:30am-7:30pm. 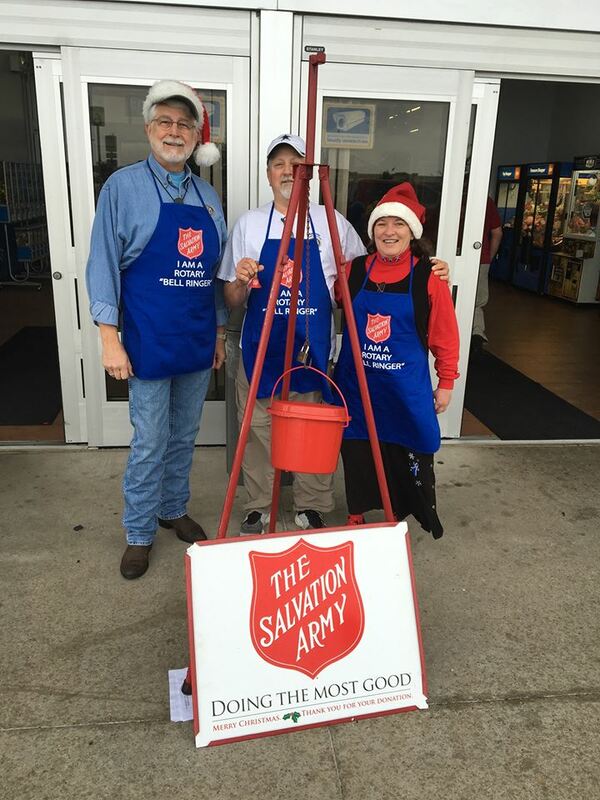 Thank you to the following Rotarians and friends who rang the bell: Lari Young, David Walker, Fred Hayden, Jackie, John Thurston, Michelle Maresh-Fuehrer, Kyle Fuehrer, Angie Frost, Rod Vaughn, Leo Barrera, Jennifer Smith-Engle, Norma Sanchez, Edgar Sanchez, George Udeani, Christine Udeani, Joe High, Brian High, Debbie High, Betty Frantum, and Marilyn Spencer. 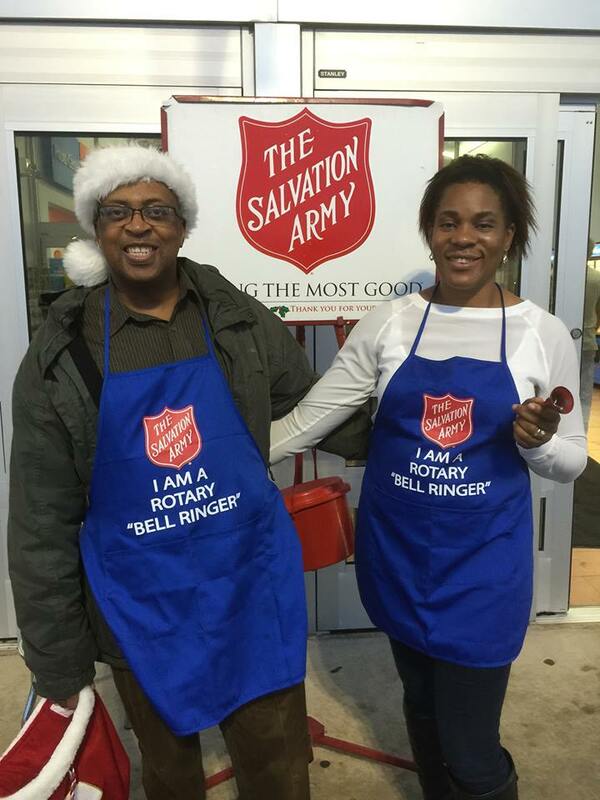 On November 18 and December 2, we "passed the hat" at our regular meetings to collect money for Rose Shaw Elementary. We raised $300, which will be pooled with other financial donations to the school and used to purchase a brand new toy for every Shaw student. 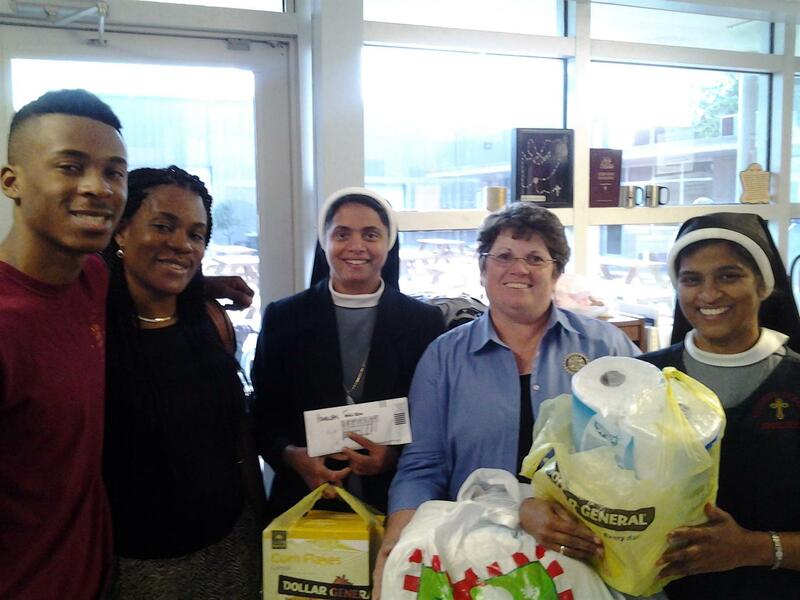 Our club collected items to benefit Mother Teresa Homeless Shelter (513 Sam Rankin). We also "passed the hat" at our weekly meeting on December 16 and raised $117. Thanks for giving! 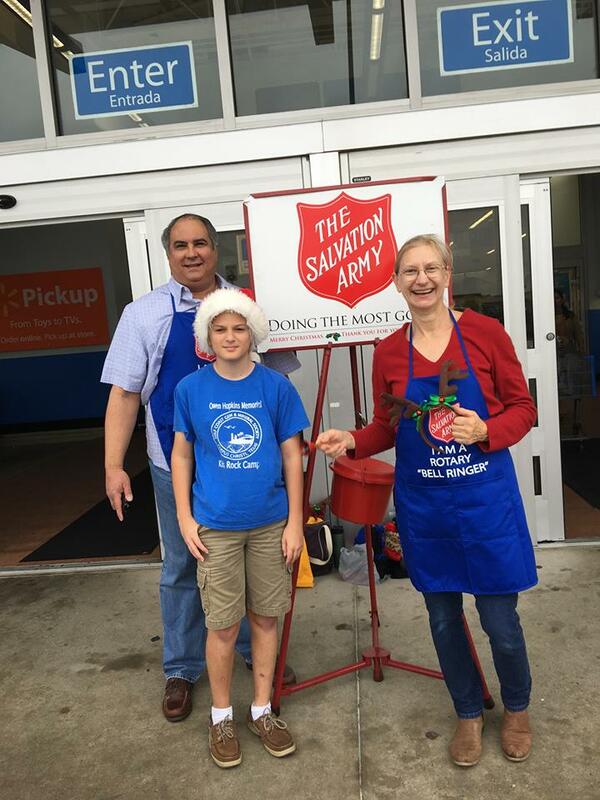 The Rotary Clubs of McAllen South, Space Center (Houston), University Area of Houston, Rockport, League City, and Southside Corpus Christi collected children's shoes to benefit children at a shelter in McAllen, Texas. This year, our club has pledged to provide financial support for the Nepal Rabbit Farming Project sponsored by the Kingsville Noon and Kingsville Sunrise Rotary Clubs, and the Rotary Club of Burnet. In April, Nepal was affected by an earthquake with a measured magnitude of 7.8. Hundreds of thousands of people were left homeless, entire villages were flattened, 9,000 people lost their lives, and another 23,000 were injured. The people of Nepal continue to struggle today. This project is self-sustaining and designed to help meet nutritional needs of the people and generate income for local farmers. 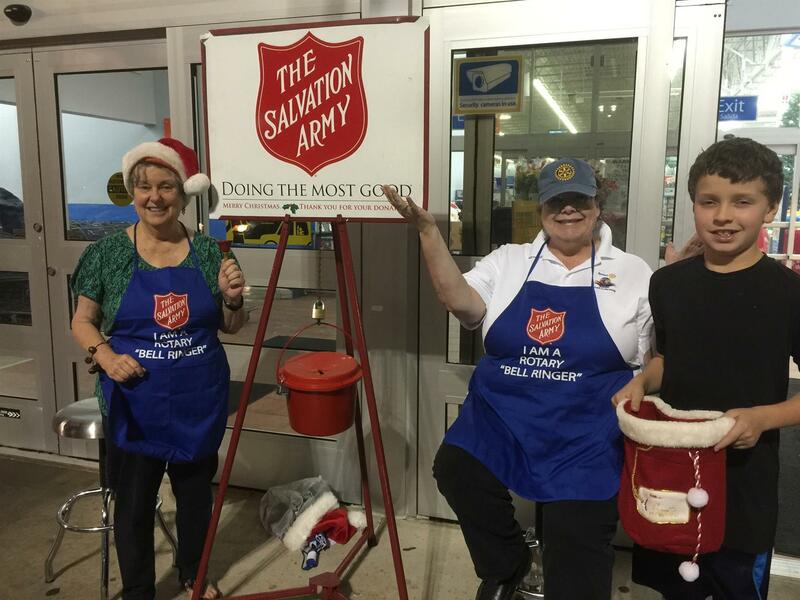 For more information, contact Kingsville Noon Rotarian, Mike Fountaine at 325-428-6018. Our club has continued to provide annual financial support for the Hands to Honduras Project sponsored by the Port Isabel Rotary Club. This project has spanned 15 years and has resulted in the building of classrooms in villages around Trujillo, Honduras, as well as the delivery of electric power, water, computers, latrines, and school supplies. For more information, contact Port Isabel Rotarian, Tom Plumb at 956-346-5595. On Saturday, November 7, the RAMP Champs built a ramp for an individual in our local community. 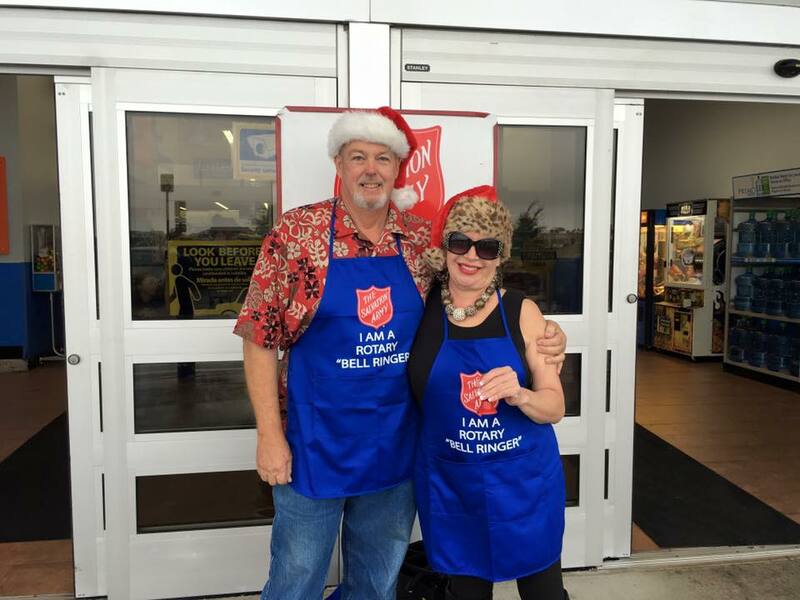 Our club provided both financial and volunteer support for this annual event, which occurred on October 31, 2015. The first Early Act First Knight (EAFK) Assembly for the current academic year was held in two sessions on Thursday, October 1 at Rose Shaw Special Emphasis Elementary School. Pre-kindergarten through second grade had a session at 8:15 am, following by third through fifth grades at 9:00 am. Lady Hannah made her first appearance, in place of Sir Cass, at the school's Knighting Ceremony. Like Cass, she told an engaging story of the virtue of discipline, passed out medals to the students, and knighted the fifth graders. Thank you to the members who were in attendance: Richard Espinosa (and wife, Nina), Nancy Ross, and Christine Udeani. On Saturday, September 19, the RAMP Champs built a ramp for an individual in our local community. Our club collected $231 in donations to benefit Rose Shaw Elementary's "Supply Our Students" efforts. A check was presented to Principal Rebecca Casas at our regular meeting on September 9. 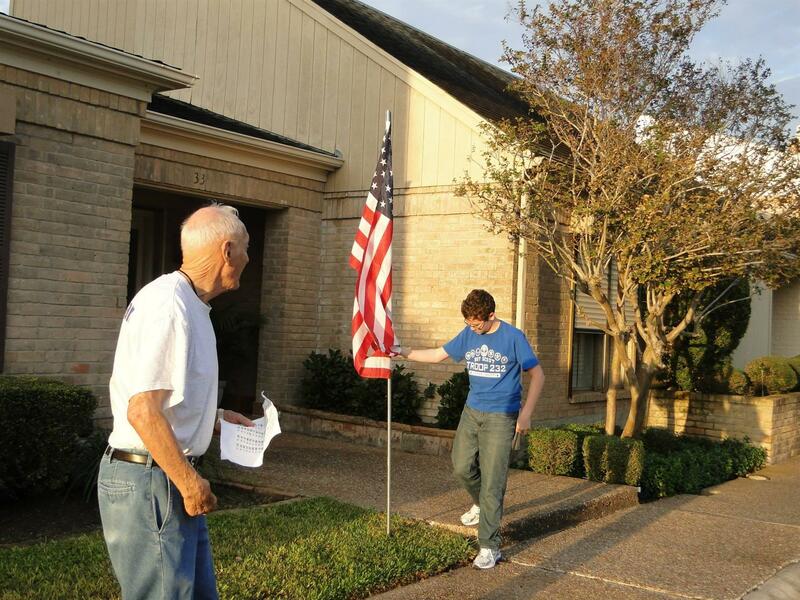 Members of Southside Rotary and Boy Scout Troop 232 placed flags around the Corpus Christi Country Club Townhomes and Carriage Park Townhomes areas on Saturday, September 5 and Monday September 7, 2015 in observance of Labor Day weekend. 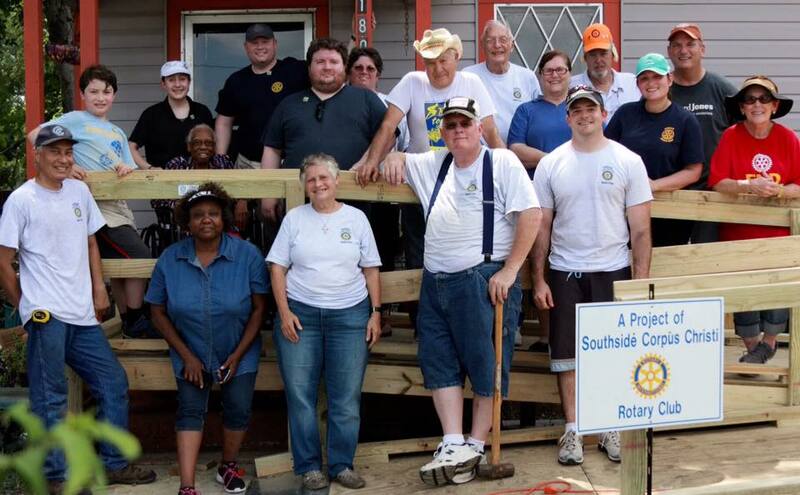 Members of Southside Rotary, joined by the great-grandchildren of late member Gerene Beckley, built a wheelchair ramp dedicated in Gerene's memory for a local resident on Saturday, July 25, 2015. Thank you to everyone who joined us for this project: Elain Barnes, Nancy Foster, Kyle Fuehrer, Alan Guggenheim (Kingsville Club), Suzanne Guggenheim, Brian High (Gerene's grandson), Debbie High (Gerene's daughter), Joe High, Michelle Maresh-Fuehrer, Erasmo Nava, Don Ratcliff, Nancy Ross, Scott Sutherland, Rod Vaughn, Michael High (Gerene's grandson), and Madeleine and Iden (Gerene's great-grandchildren). 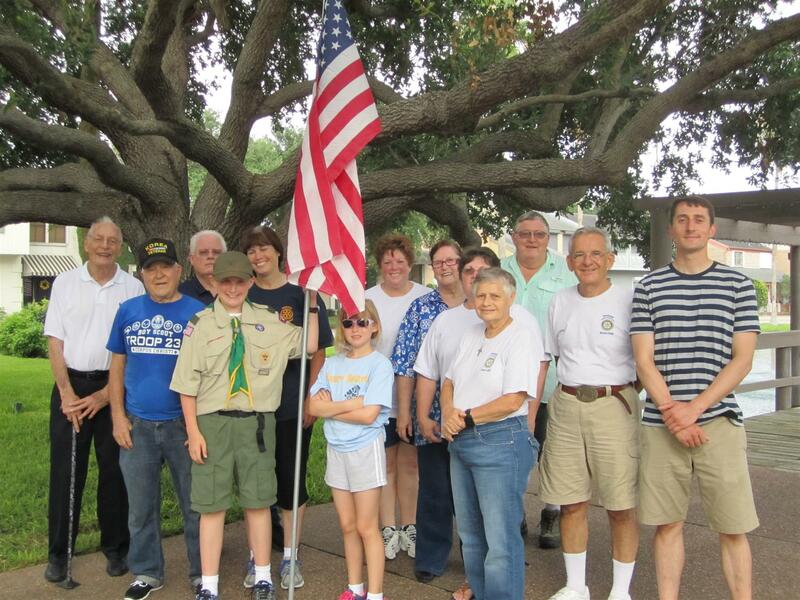 Members of Southside Rotary and Boy Scout Troop 232 placed flags around the Corpus Christi Country Club Townhomes and Rock Creek Townhomes areas on Friday, July 3 and Saturday, July 4, 2015 in observance of Independence Day weekend. Hundreds of flags are put up around Corpus Christi on national holidays through this project. Flag Project sponsors help fund camp scholarships and troop projects. Thank you to everyone who joined us for this project: Elain Barnes, Alan Guggenheim (Kingsville Club), Suzanne Guggenheim, Debbie High, Joe High, Don Ratcliff, Nancy Ross, and Lari Young. If you live in one of these areas and would like a flag placed at your home, please fill out the Flag Service Subscription Form.